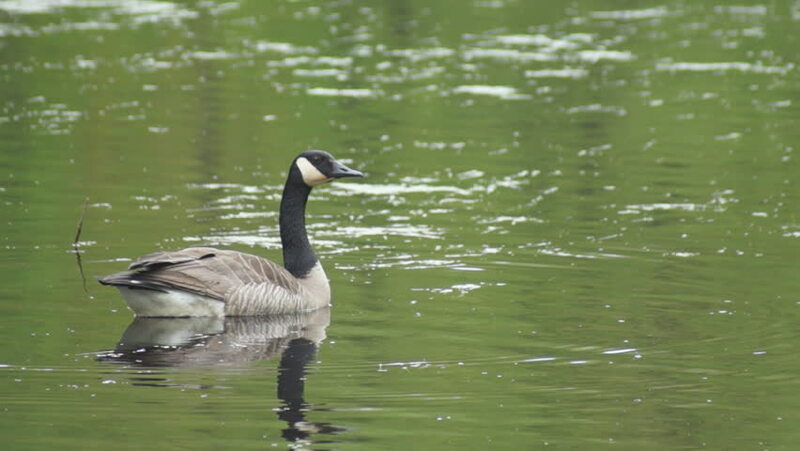 A lone Canada Goose honks a warning. When it calls ripples expand out on the calm water of its pond. hd00:22Egret is looking for food. hd00:52Egret is looking for food. hd00:11Ducks swimming slowly in a danish pond.